Hello and Welcome to my kitchen knives page. Over the years I, like many of you, have become tired of having knives in my kitchen that won't hold an edge. So I built my own for my personal kitchen use. These are the knife designs I have come up with so far. If you have a personal favorite design that you'd like for me to create for you, please let me know. You never know, I might want to add that design to my personal kitchen as well. 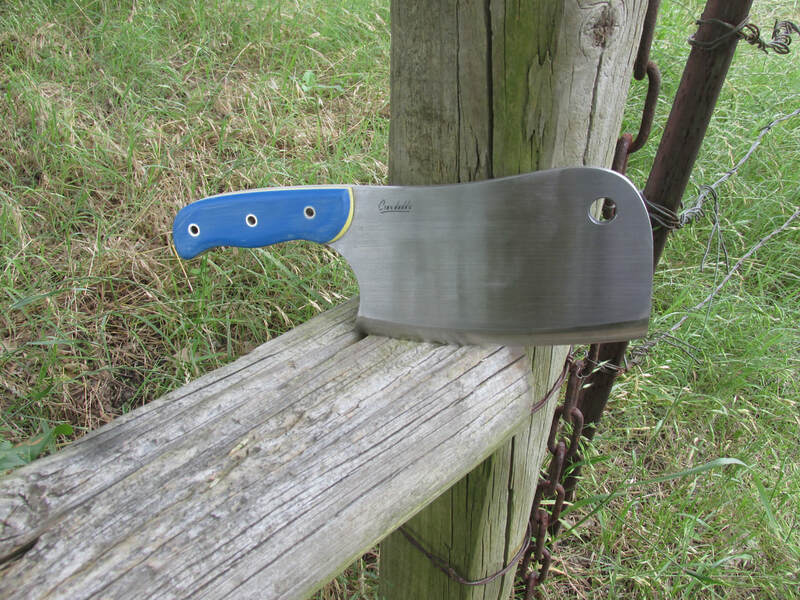 All of my Kitchen knives are made from High carbon steel, either O1 tool steel, old metal working files or farrier rasps, depending on the knife. They are NOT dishwasher safe, but a little mild soap and water, and then re-oil and they are good to go. 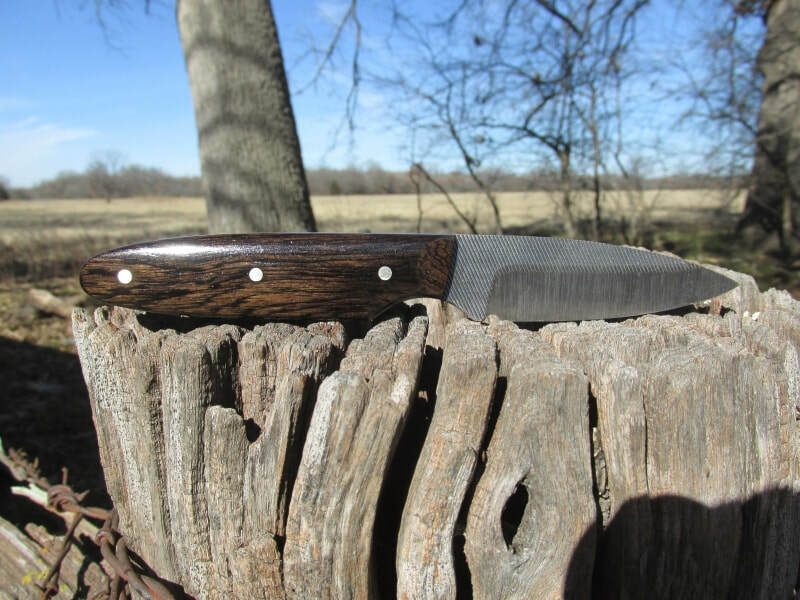 If you would like to have me build one of my Kitchen knives for you, please go to my contact page and send me an email. 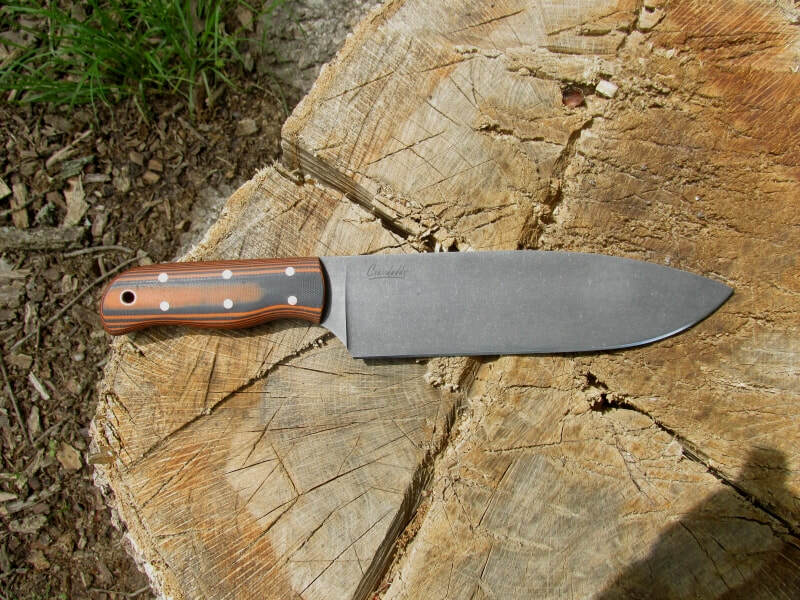 It would be an honor to create a knife for you and your kitchen.